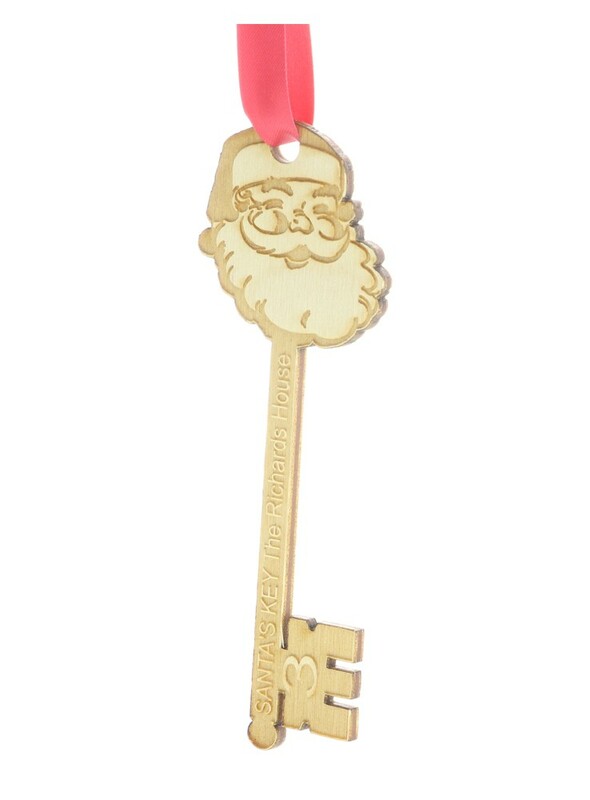 Personalised Engraved Wooden Santa/Father Christmas Key. An amazing keepsake for the night before Christmas to be used for many years to come! It measures 13.5 cm long x 5cm wide x 3mm thick and comes complete with the red gems and ribbon as shown. All you need to do is to advise us of your personalised text i.e. name or family name. The house number is optional, we can engrave it with or without this for you. Please note each key is made from natural wood and may feature small imperfections and differences in grain, knots and colour.